Each month we like to chat to a different luxury travel expert. 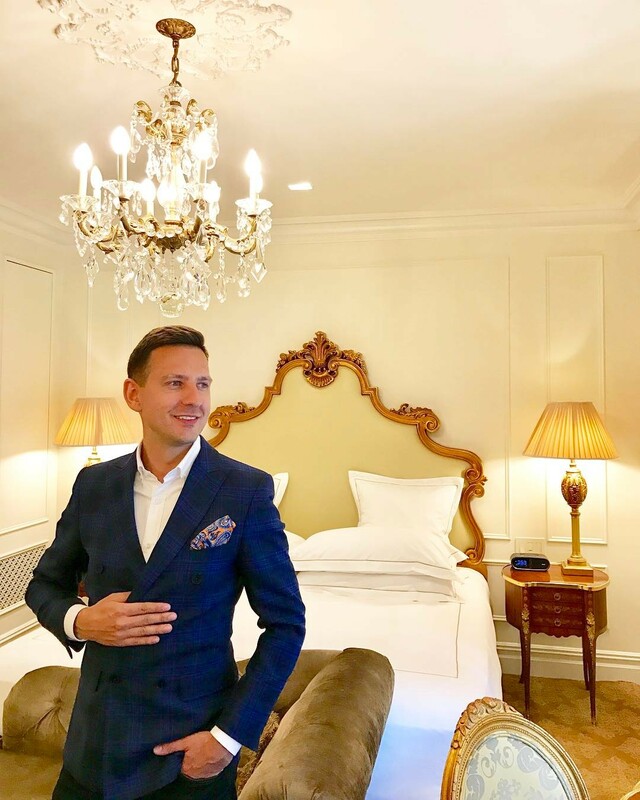 This month it’s the turn of luxury hotel consultant and hotel inspector Karol Weber. 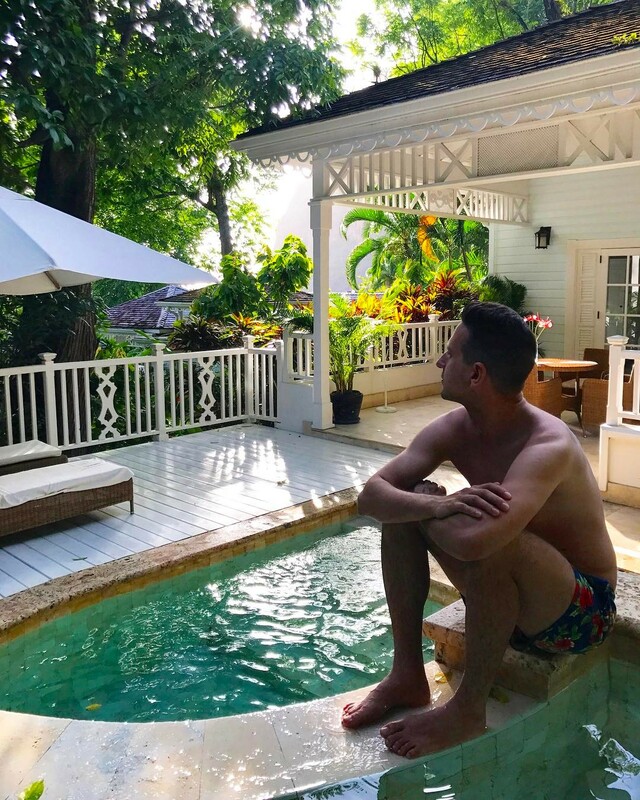 Read on to find out more about Karol, his website and Instagram and his thoughts on how the luxury travel sector is evolving. My name is Karol and I’m the Hotel Inspector from Poland. I have over 15 years of experience in the hospitality industry. I worked in various positions in world-renowned hotel chains, including Four Seasons and InterContinental. Recently, as a hotel consultant, I advise hotel investors mostly on boutique hotels projects, assist in hotel pre-openings and conduct service quality audits and staff trainings. My job is my passion. That passion for hotels I combine with another, equally strong passion – traveling. There is always a problem which next direction to pick in the first place. Traveling for me is not just sightseeing and leisure, but also the chance to meet new people and experience different customs. Being in different cities around the world, I always look into local renowned hotels, unless I’m staying at them ☺ As an author of the blog www.enjoyyourstay.pl I share my hotel and travel experiences and write about trends in the hospitality industry. I love to inspire my readers. You’ve worked in the luxury travel sector for over 15 years – please tell us how your career started and how it progressed so successfully. Everything started in my hometown in Poland, a tourist destination in the Masurian Lake District, where I graduated from local Hospitality High School. As a teenager I worked during the summer in local hotels and restaurants. After high school I moved to Warsaw, the capital of Poland, where I started a professional career in hotels like Radisson Blu and InterContinental, working as a receptionist. At the same time I studied at the Hotel Management School. A breakthrough in my career was to go abroad and work in one of the best hotel companies in the world – The Four Seasons. At the Four Seasons Hampshire in England, I worked at the Housekeeping Department, starting as a room attendant, then office coordinator, supervisor and assistant manager. I feel blessed that I could work with high-class managers, who were my mentors, taught me professional hospitality and who saw potential in me. Four Seasons is not just exquisite hotels, it’s the philosophy. I am thankful for that experience, which brought me to the point I am at right now. Without that experience I guess I wouldn’t be doing what I do now as a Hotel Inspector, hotel consultant and trainer. As a hotelier, I love to provide the best possible service and unforgettable experiences to my guests. As a hotel trainer and consultant I love to inspire, share ideas, share my knowledge and professional experience to develop others, improve their performance and increase level of quality at other properties. As a blogger and traveller, I love to discover new and unique places, learn about new trends and meet people full of passions. When recommending a hotel what are the key qualities and features you look for? No matter if the hotel has 5 or 3 stars, it must have character, interesting story to tell. I prefer boutique properties located in historic buildings, or new but architecturally interesting. I like design hotels, which pay great attention to details, but at the same time their furnishing and equipment is functional. I am interested in hotels that use modern technology to provide greater comfort, such as tablets to control room features, self check-in kiosks, or mobile check-in applications and mobile room access. I can’t imagine high quality hotels without high-speed Internet connection, complimentary of course. I always read reviews about hotels before booking or recommending them. I check the way hotels reply to negative reviews. It says a lot about their professionalism. I check especially the rating of value for money. I am willing to pay a higher price for a room if it comes with a higher quality of service. The hospitality sector is a highly competitive one, how do you feel hotels can best differentiate their brand and make them stand out? Hotels nowadays are more about the place, the building, the neighbourhood, the history, what the guests who are coming to this part of the country or city are looking for. The main component of hotel individualism is its design and architecture. Interior design must reflect the history of the place and its neighborhood. Hotel design must connect the traveller to the destination. Another way to stand out is through technology. Mobile apps which provide personalised content, allow messaging between guest and staff, and in general allow to enhance the guest experience and streamline service operations. But technology can’t replace the staff and will not replace their personal engagement. The modern hotels that want to stand out must be environmentally friendly, in example built according to LEED and BREEAM certificates, using solar energy, using ecological cleaning products and toiletries for guests with bio ingredients. The term Luxury is highly subjective and open to personal interpretation. What does luxury hospitality mean to you? Luxury is about something rare, authentic, and exclusive. It’s a blend of extravagance with authentic unforgettable experiences. Exceeding guests’ expectations beyond brand standards. 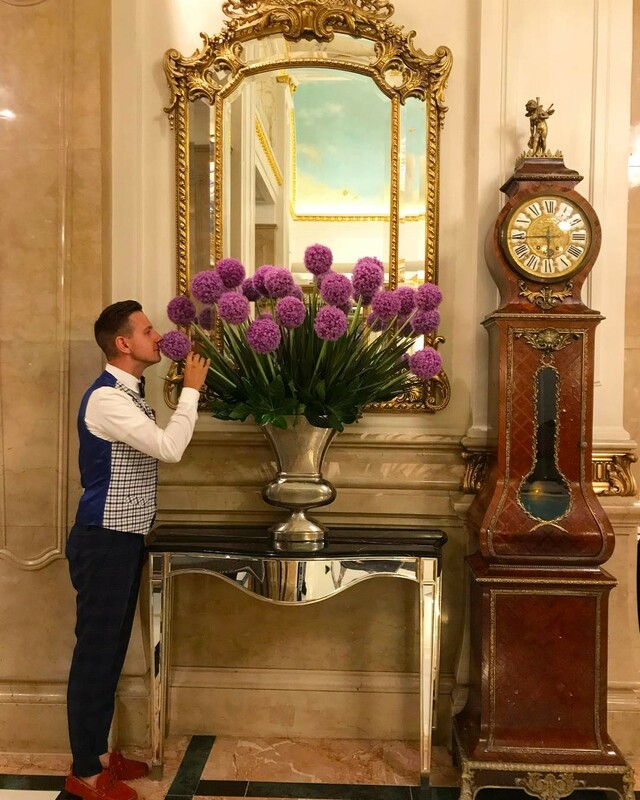 And yet, it’s all about the people – receptionists, doormen, room attendants, waiters – who deliver exquisite service, are attentive to every need and passionate about their job. What (and why) has been your most exciting and unusual hotel experience to date? St. Regis New York definitely. 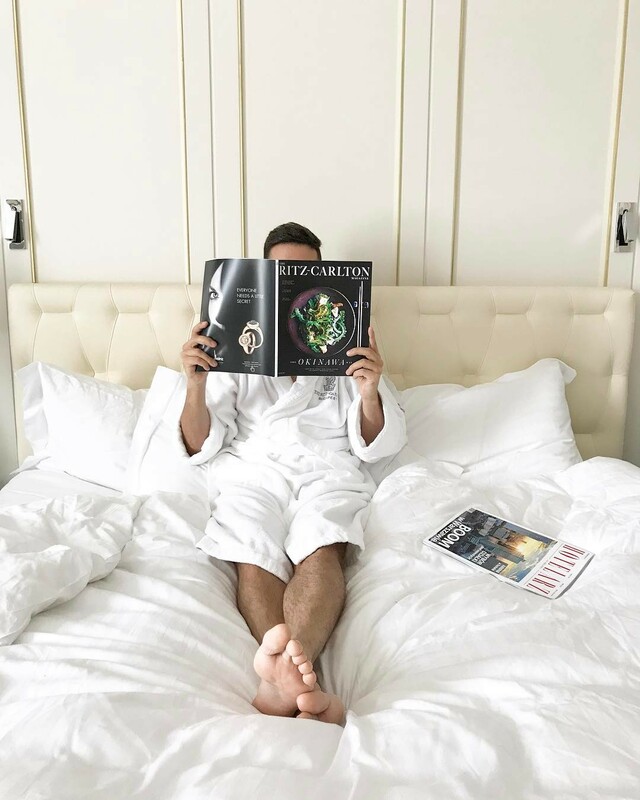 I had a private tour around hotel, a complimentary drink “Bloody Mary” at the King Cole Bar, Bentley ride with a chauffeur around Manhattan, butler service day and night, and I got souvenirs at the end of my stay. My experience wouldn’t be so valuable without the people working there, who took care of me and showed their interest. What do you think will be the key luxury travel trends over the next years? Luxury travel is all about unique and exclusive experiences. Travellers are looking for experiences much more than materialism. Guests are looking for something new, things they haven’t seen before. They are looking for something authentic, they are looking to connect with the destination. Luxury hotels must really inspire travellers, must offer a personalised experience and customisable services. Luxury hospitality has become much more personal and much less formal. Travelling and staying at hotels is becoming one experience. The Four Seasons Company already offers plane travel around the world combined with hotel stays in certain locations. Guests-passengers don’t only sleep and dine on the board, but also have spa and concierge services available. The Ritz-Carlton is taking its legendary service and luxury to the ocean. Beginning in 2019, the company will offer bespoke cruises on three lavishly built yachts. Luxury travel is also about being well. Guest being educated about work-life balance, digital detox, mental wellness, about what’s most important in life – family and friends. Gone are the days when wellness was isolated within the four walls of the spa and fitness area. Guests are demanding wellness in the restaurant and in the room. It means – healthy food made with natural and bio ingredients, individually prepared diet, great sleep experience provided by specially designed beds, pillow menus and bath amenities. 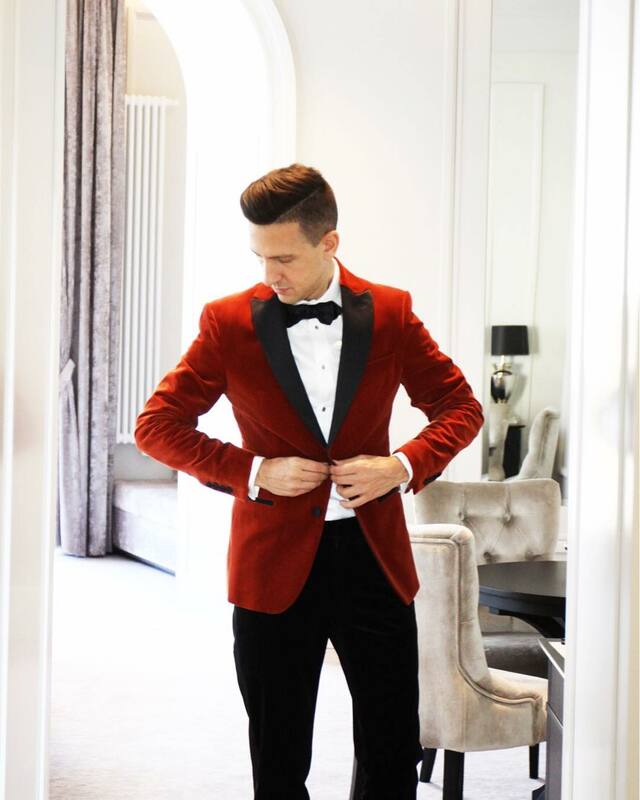 You can follow Karol on Instagram & at his website.